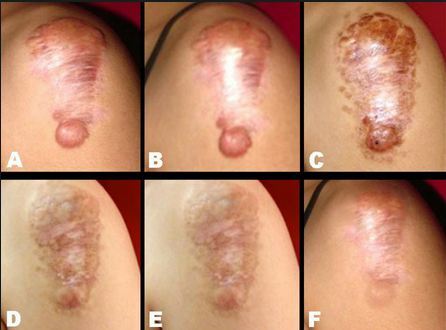 After the skin is injured, in certain cases the healing process can leave a raised or a depressed scar. However, not all wounds will leave a scar. Normally very superficial wounds do not leave scars, provided that the healing process is smooth and there are not significant infections. It is important to understand that generally, scars develop when a certain degree of damage to the dermis has been caused either by an injury or infection. The scar is a normal reaction to the damage caused to the dermis. HOW AND WHY DOES A SCAR FORM? In case of deep wounds (ie deep cuts, like those of serious accidents or surgical procedures) they usually develop into some form of scarring even if the healing process is smooth and free of infections. 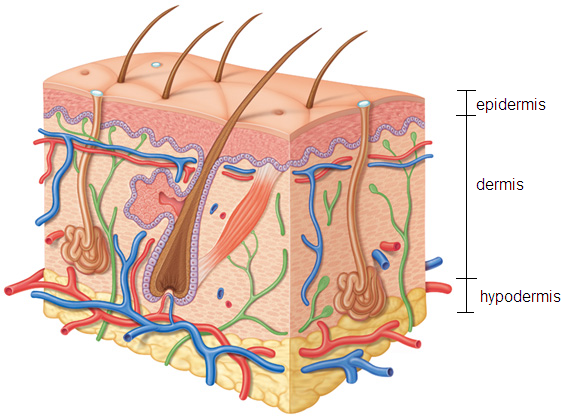 This is because in deep wounds the deeper part of the dermis (hypodermis) is usually affected and whenever the hypodermis is injured in some way the healing process will eventually lead to some degree of scarring, despite the way the wound has healed. Figure 1. Whenever the dermis or the hypodermis are affected by an injury the wound will eventually develop into a certain degree of scarring. In case the injury only involves the upper part of the dermis, if the wound heals speedily and appropriate after-care is followed then the likelihood of developing a scar decreases dramatically. On the other hand, even a superficial wound can develop into a fully fledged hypertrophic scar if infections arise and persist over a long period of time. This is because the longer the infection persists the higher the likelihood of a certain degree of damage to be caused to the dermis. Sometimes a scar is hypertrophic (thickened/raised), or atrophic (depressed), but always confined to the margin of the original wound or injury. Hypertrophic scars, initially tend to be redder and often regress spontaneously (a process which can take one year or more). Figure 2. Example of Hypertrophic Scar. Picture was taken soon after the healing was over. The scar is still pinker than the rest of the skin. The Scar is also confined to the borders of the original wound. Hypertrophic scars develop during the wound healing process and not only do they stop growing when the healing process is over, but also they decrease in size over time by their own accord. Hypertrophic scar removal treatment, such as cortisone injections (steroids), can speed up this natural scar shrinkage process. Also, hypertrophic scar removal is relatively easy by using most ablative methods including lasers, electrical arcing, surgical excision and other methods. This is because the hypertrophic scars will not tend to grow back. Figure 3. Another example of a recently formed hypertrophic scar. These types of scars are very easily removed by using most ablative methods in aesthetics, including lasers and electrical arcing. They do not tend to redevelop when removed. Keloids, by contrast, may start sometime after a cutaneous injury of any type including normal acne, minor burns, chickenpox, ear piercing and piercings in general, minor scratches, surgical incision, injections, tattooing, laser aesthetic treatments including skin tightening, more in general any event which will trigger the skin regeneration process. They can also develop after some minor inflammation. Often Keloids can be mistaken for hypertrophic scars and vice versa. 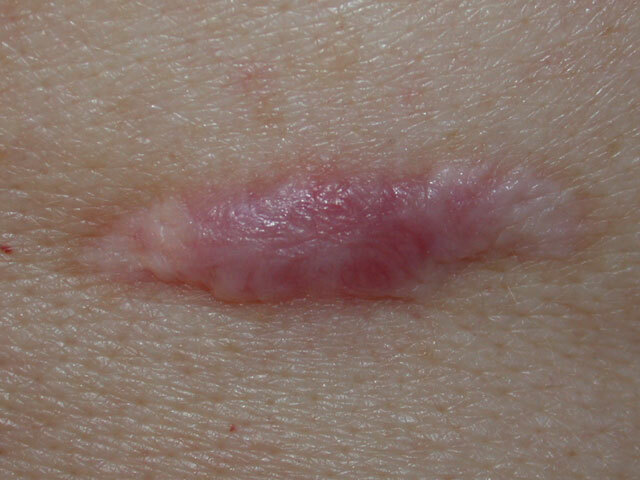 Keloids tend to extend beyond the wound site. This tendency to migrate into surrounding areas that weren't injured originally distinguishes Keloids from hypertrophic scars. Also, another difference between Keloids and hypertrophic scars is that Hypertrophic scars are formed during the healing process and stop developing as soon as the area has healed, on the other hand, Keloids do not stop growing when the healing process is over. Sometimes Keloids keep growing weeks after the original injury has healed. Figure 4. One of the reasons Keloids appear often on the earlobes is due to ear piercing. This picture illustrates clearly how Keloidal formations tend to grow well beyond the original boundaries of the original injury which caused it. Keloids "per se" are benign and non-dangerous growths, however, they can be compared to benign tumours due to their tendency to sustain growth after their initial formation. In case the growth seems disproportionate and persists over the period of several weeks leading to abnormal (irregular) shapes and disproportionate dimensions, like in case of formations displayed in Figure 4 for example, then excision for a histological examination is recommended. This is to make sure the growth although abnormal is benign. Please bear in mind that there is no scientifically proven connection between Keloidal formations and dangerous growths. Figure 5. A classic example of unintended Keloidal formation after a tattooing treatment. Figure 6. Keloidal formations after heart surgery. 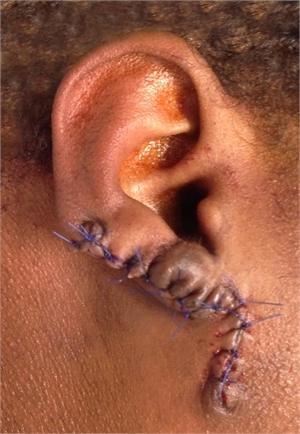 The suture points are demarcated by the clear keloids. The difference between a classic Keloidal formation and a Hypertrophic scar is noted by comparing Figure 5 with Figure 2 and 3. The Keloidal formation in Figure 5 is clearly protruding and it does not present the normal pinkish colour of a normal Hypertrophic scar which is clearly confined within the borders of the original injury. Also in figure 5, it is possible to notice how the Keloidal formation is overgrowing in a similar fashion to the ones in Figure 4. In Figure 6 on the left, we can appreciate the clear Keloidal formation after heart surgery. 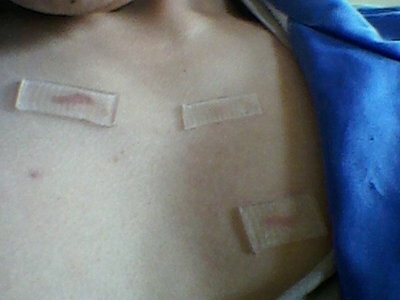 The Keloids also formed on the suture points. The Hypertrophic scars, in contrast, are very well confined within the original boundaries of the wound that initially formed it (See Figure 2 and 3). Keloids affect both sexes equally, although the incidence in the young female population has been reported to be higher than in young males, probably reflecting the greater frequency of earlobe piercing among women. The frequency of Keloidal occurrence is 15 times higher in highly pigmented people (skin types 4, 5 and 6), therefore African, Asian and Indian descendant people have increased likelihood of Keloid occurrences. It is also shown that the tendency to form Keloids is familial, therefore if one of your ancestors had this tendency then you will be more likely to form Keloids. While hypertrophic scars are very easily removed by using various ablation methods, including lasers, electrical arcing, cryotherapy, excision, chemical peels etc, the removal of keloidal formations can be challenging. Figure 7. Keloids on skin type 1. Keloids rarely affect lighter skin types. This is because, despite the fact that they are removed using the several ablation methods currently available including surgical excision, Keloids tend to "grow back" or even expand or increase in size after their removal. 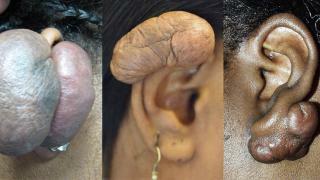 Unfortunately, there is no known treatment which can scientifically guarantee Keloids will not recur after the removal. Figure 8. Keloidal formation excised surgically. The surgical removal alone may be futile as the Keloid will tend to grow back due to the injury caused by the surgery itself. Therefore a post-surgical treatment to prevent the Keloid to recur will be necessary. Despite the method used to remove any Keloidal formation, if a preventative measure to avoid the Keloidal recurrence is not used the lesion will "grow back" or worse, even regrow larger. Therefore any form of ablation alone is not sufficient to remove this type of lesion, or may even be detrimental due to the natural tendency of Keloids to develop and expand after a traumatic event to the skin. The methods used to prevent the regrowth of the Keloid after their removal using ablative methods are Cortisone or Fluorouracil superficial injections, Radio Therapy and others. These regrowths preventative methods are applied soon after the Keloid removal procedure using ablative any methods (ie lasers, electrical arcing, cryotherapy, surgical excision, chemical peels etc). This is because any ablative method inevitably causes a skin traumatic event which will, in turn, trigger the Keloidal growth. For this reason, any effective treatment has to focus on having the Keloids to stop growing back after their removal. No single regrowth preventative treatment is best for all Keloids because they may react differently to different treatments. The Keloid location, size, depth of the lesion, the age of the person, and the past response to the removal treatment may determine the best type of removal treatment. One of the most known and economical methods to reduce the size of Keloidal formations is the use of injectable (steroids) cortisone, directly administered into the lesion. In most cases, this alone has been shown to reduce the size of the Keloidal formations without the use of any other ablative methods. As we know ablative methods of any type bear an inherent likelihood of Keloid recurrence as well as the potential increase in the size of the Keloid itself. Figure 9. "Kenalog" is a brand name for "Triamcinolone Acetonide" which is a synthetic corticosteroid used to treat various skin conditions. In this image, we can see how the needle has to be inserted into the Keloid. 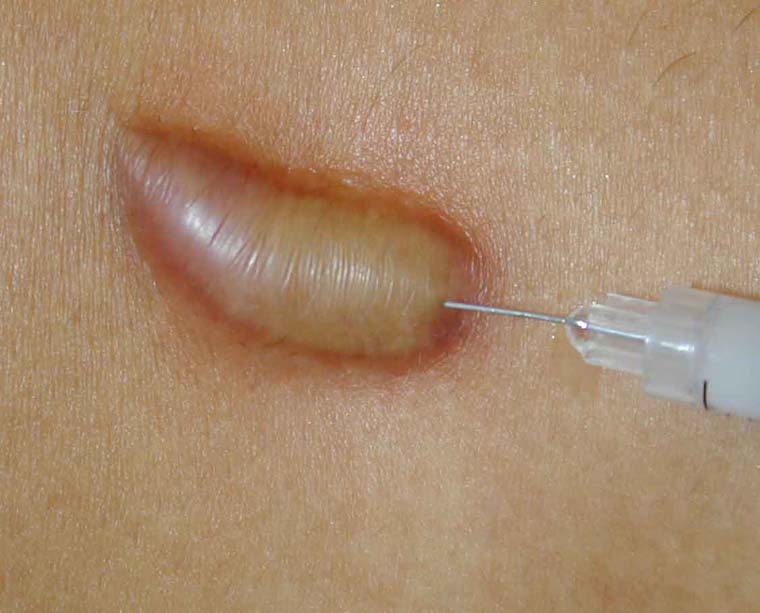 Cortisone injections are administered into the Keloid at 6 weeks interval and after each session normally the Keloid will reduce progressively in size by its own accord. The advantage of using this method is primarily the wide availability of safe and suitable steroids on the market. Furthermore, the first steroid course of injections alone will provide a clear indication if the Keloid responds well to this type of treatment. The avoidance of invasive (surgical) and non-invasive (lasers or voltaic arcing) ablative techniques is a clear benefit the skin does not require to undergo any traumatic events which could trigger a Keloidal regrowth or enlargement. This type of treatment will consist of a number of cortisone injections into the Keloids made at four to six weeks interval. This treatment on its own will suffice to reduce the Keloid in size after each course of a cortisone injection. Figure 10. Cortisone injection directly administered into the Keloidal formation. The use of cortisone injections should be the first attempt to treat Keloidal formations. It is important to emphasise that if the Keloid responds well to this treatment alone, in most cases it is not recommended to use ablative methods to fine tune the results. This is because as we know the use of any ablative treatment bears the inherent likelihood of triggering a form or recurrence. Although this treatment is not always effective it has a very high success rate and it has low risks associated with it. The results are apparent from the first course of injections as seen in the figure below. Figure 11. This picture clearly shows the efficacy of cortisone injections into the Keloid. Ablative treatments should be avoided if the Keloid responds well to this type of treatment. 5-10 mg/mL for developing Keloids and 10-40 mg/mL for a pre-existing, fully mature Keloid. The larger doses are usually used on bulky, mature Keloids. The injections can be painful especially at high doses. Shots can be co-administered with a numbing agent (e.g., lidocaine) and/or after application of a topical numbing cream. Possible adverse side effects such as Hypopigmentation, Hyperpigmentation, dark red blotches, or tissue atrophy. Tissue atrophy looks like indentations in the skin and can occur with large amounts of steroids and/or injection in the surrounding normal tissue. Generally, Hypopigmentation may be reversible over time (it may take up to a year), however, tissue and fat atrophy can be permanent. Cushing’s syndrome can develop if too much steroid is used haphazardly. Remember that the likelihood of side effects can be minimised but never completely avoided. Of course, if this treatment is effective, varying the dosage per session will determine the number of treatments required to achieve a satisfactory outcome. However, it is advisable to administer lower doses than normally possible and increase the number of sessions in order to minimise the likelihood of undesirable effects. In case intra-lesion steroid injections are not effective, then the use of ablative treatments combined with recurrence prevention treatments can be the next step forward. As stated previously the use of ablative treatments (both invasive, like surgery, and non-invasive, like a laser and voltaic arcing treatments) should be avoided in the first instance due to the inherent likelihood of triggering recurrence or further growths. However, the use of Lasers and voltaic arcing coupled with steroid treatments, radiation therapy or other treatments to prevent recurrence can be very effective. The regrowth preventative treatment is normally carried out after the Keloidal ablation has taken place. 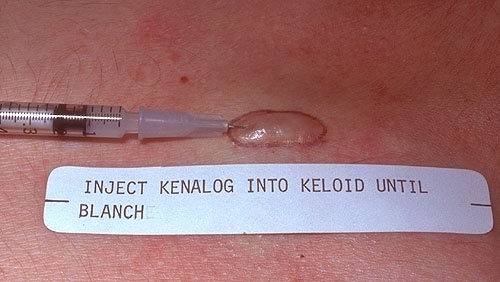 In case the practitioner decides to use injectable steroids as a recurrence preventative measure, it is recommended to administer the steroid injections into the Keloid before the ablative treatment and then proceed to the physical removal of the Keloid by using, surgical excision, laser ablations or the electrical arcing. At the end of the Removal treatment then another course of superficial injections should be administered to both the treated and the surrounding area to further minimise the recurrence rate. In case of the use of radiation therapy to minimise the recurrence rate, this has to be used only at the end of the ablative treatment. The use of combined treatments bears the inherent advantage of being able to remove the Keloid within one sitting, provided that the Keloid will not recur after the healing process. Once again combined treatments should be used only as the last resort or if the client prefers it (The client should be informed about all suitable available options for Keloid removal to make an informed decision). Lasers (by vaporising the Keloid) coupled with preventative measures to minimise recurrence. Voltaic Arcing (vaporisation) coupled with preventative measures to minimise recurrence. Surgical Excision coupled with preventative measures to minimise recurrence. Cryotherapy combined with preventative measures to minimise recurrence. Micro dermal abrasion combined with preventative measures to minimise recurrence. Any ablative method on its own bear's high likelihood of triggering Keloid recurrence and therefore a form of Keloid recurrence preventative treatment should be used at least immediately after the Keloid removal. The most common Keloid recurrence minimisation method is the use of corticosteroid injections after any of these types of ablative treatments. This is due to the availability, efficacy and relatively low side effects of these drugs. In most cases, the injections are administered both before the ablation treatment directly into the Keloid and after the removal treatment into the surrounding area using superficial infiltrations. The use of Radiotherapy and other methods have been proved to be also effective. Figure 13. Occlusion using Silicon sheets as a recurrence preventative measure after Keloid laser removal treatment. A particular study also suggests the use of Silicon Gel Sheeting up to 48 hours after an ablative treatment as a means of reducing the likelihood of recurrence. As the results are not always satisfactory this is not a first line preventative therapeutic treatment recommendable after Keloid ablative treatments. Click Here to learn more. 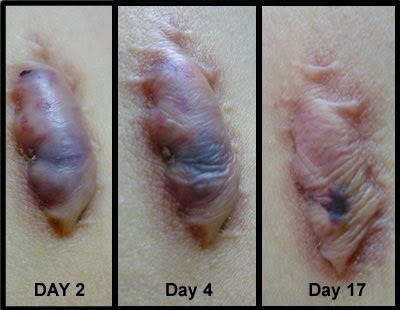 Other promising Keloid recurrence preventative therapies after removal using ablative treatments include antiangiogenic factors, including vascular endothelial growth factor (VEGF) inhibitors (eg, bevacizumab), phototherapy (photodynamic therapy, UVA-1 therapy, narrowband UVB therapy), transforming growth factor (TGF)–beta3, tumor necrosis factor (TNF)-alpha inhibitors (etanercept), and recombinant human interleukin (rhIL-10), which are directed at decreasing collagen synthesis. A useful table detailing the various type of treatments available for Keloid removal combined with regrowth prevention therapies, mentioning also the likelihood of recurrence can be found HERE. Home treatments should not involve cutting, sanding, constricting the keloids with strings or rubber bands, or using any other method that traumatizes the skin. Doing so can increase the likelihood of recurrence, infections or keloid enlargement. Use care when attempting home remedies for Keloid removal. Safe and effective remedies to shrink Keloids include occlusion (silicone pads or gel) and/or the application of certain substances. Please note that despite the fact that the proposed treatments are scientifically proven to improve the appearance of Keloids over time, several treatments, over a long time period are usually required in order to achieve the desired results. The duration of the treatment depends on the method used. The following home treatments are also effective in the treatment of normal Hypertrophic scars. Dramatic results are only currently achievable using intra-lesional corticosteroid injections or ablative methods combined with recurrence preventative treatments. Occlusion in the treatment of scarring of any type has been used for several years. Occlusion can be performed in several ways, one of the ways which have been widely used is the application of Silicone adhesive sheets or appropriate silicon gel. Also, silicon gel sheets have been used to prevent new Keloids from forming following an injury or surgical operations. This is a treatment that can lead to eventual improvement in the appearance of both Hypertrophic scars and Keloids. Figure 14. Occlusion applied on Keloid formations sustained over months for over 10 hours a day has been shown to be effective. however, this treatment is seldom viable for most people due to the impracticality of applying occlusion over long periods of time. However, the use of sheeting has to be endured over several months (usually over six) in order for the results to become apparent. Therefore this type of treatment although ultimately effective is unsustainable for most people as this requires forming a new daily habit which needs to be sustained over months and this is rarely accomplished. Most "ad hoc" products are silicon gel sheets, or "scar sheets" which are self-adhesive, and reusable. They are applied to existing scars and Keloids to reduce their size and appearance over time. Silicon sheets should be worn over them for at least 10 hours per day for several months in order to achieve the desired results. Figure 15. Several silicon products are available on the market. They must be worn for over 10 hours a day. The treatment has to be endured for over six months in order to achieve good results. Silicon gel sheets are widely available on the market and can be bought at most pharmacies and many online retailers. Vitamin E Coupled with Occlusion. Figure 16. It has been shown how administering Vitamin E into the Keloid or Hypertrophic scar using the right topical solutions can lead to the eventual shrinkage of the lesion. The use of topical Vitamin E based products (gel, oil, and ointments) have been shown a real efficacy in the eventual reduction in the size of the Keloid over a long period of time (several months). Therefore this solution on its own is not suitable for most people, because the use of this type of products can hardly be sustained over long periods. Likewise, as we know, the main problem with occlusion, used on its own, is the impracticality of wearing silicon sheets or gel products over long periods during the day (over 10 hours per day) and over sustained long periods of time (over 6 months). However, the combination of occlusion and the use of Vitamin E based products appears to be far more practical as the results are achieved much faster, usually within 2 months with an appropriate everyday use. The reason for silicon occlusion to be effective in the treatment of Keloids is the "direct action on the fibroblasts and a hyperhydration of Subcutaneous tissue". Because generally the use of occlusion in aesthetic is successfully used for amplifying the subcutaneous delivery of active substances. Therefore applying Vitamin E on to the Keloid coupled with the occlusion effect of silicone sheets speeds up the Keloidal shrinkage process which would otherwise be possible. To view the related scientific study showing the efficacy of Vitamin E coupled with occlusion in Hypertrophic scar and Keloid treatment please Click Here. Please note that results vary according to the type of topical Vitamin E based product, time of occlusion carried out during the day. Keloids are fundamentally different from Hypertrophic scars. Keloid removal treatment is not always simple as it is in the case of hypertrophic scars.This is because, unlike Hypertrophic scars, Keloids tend to "grow back" after any ablative treatment. Professional. The first line of treatment is the use of Intralesional corticosteroid injections. Failing that the preferred option is the use of ablative treatments (Physical removal of the Keloids) combined with some other recurrence inhibition treatment. There are also several other options, however, they are not frequently used yet. Home treatments. 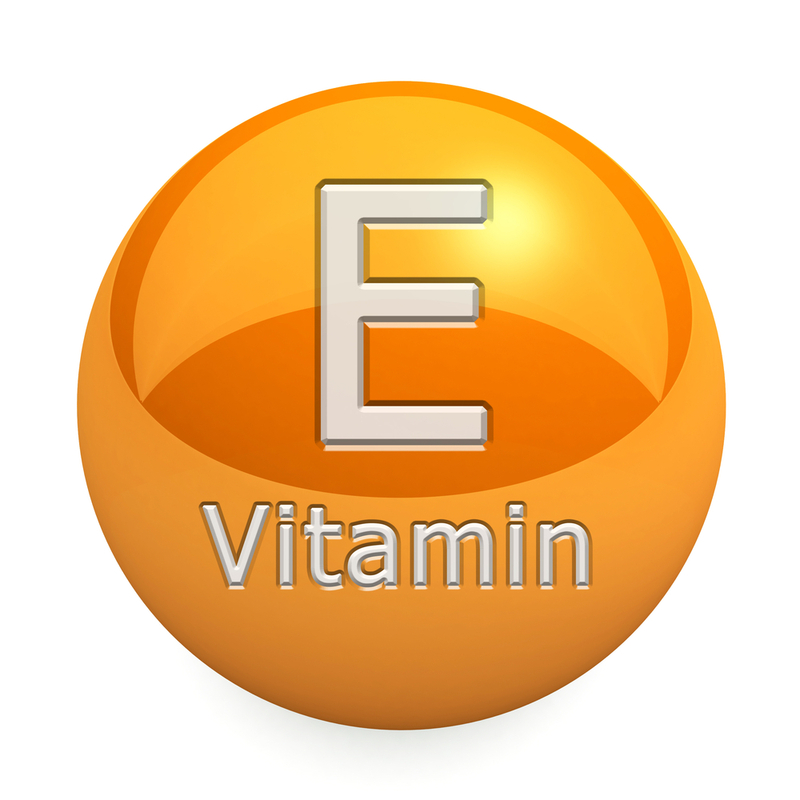 The most successful type of home treatment is the use of suitable Vitamin E topical products, combined with occlusion. If carried out appropriately, this type of treatment has been shown to reduce the size of most Keloids within 2 months. Both professional and home treatments are effective. Professional treatments bear the advantage of allowing the Keloid removal with high success rate within one (or multiple) sitting(s) without the client needing to wear patches on his own. The main disadvantage is the higher costs and the potential side effects. Home treatments are effective however, this does require the sustained daily use of Vitamin E based product coupled with occlusion over an extended period of time during the day and over several weeks. The main advantage is the lower costs and the very low likelihood of side effects.